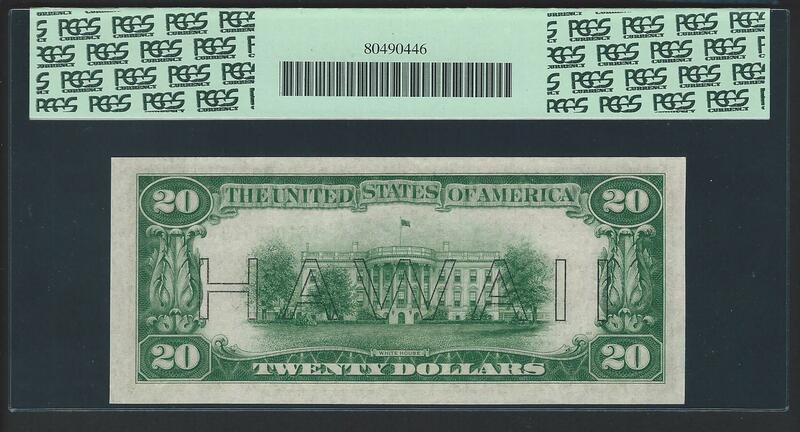 This is the rare mule variety of FR: 2305, 1934A $20 Hawaii overprint. All mule notes have micro back check number 317 or lower. The number on this note is 310. There are only 33 examples recorded for the mule variety. Compare this with close to two thousand (2000) different serial numbers recorded for the more common non-mule variety. That makes the mule 60 times rarer than the non-mule ! 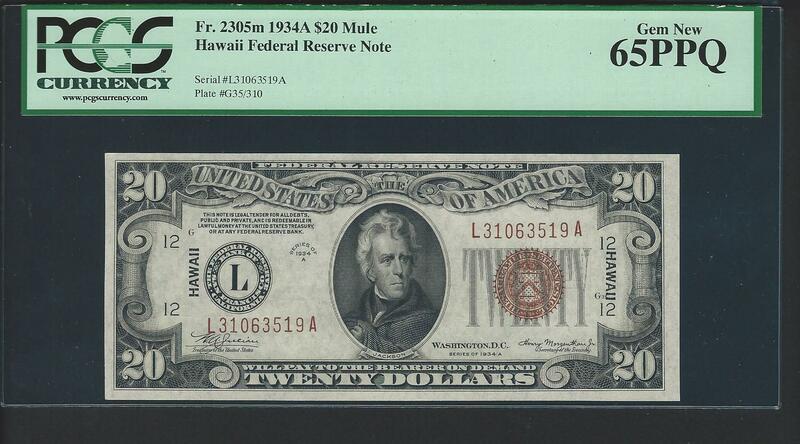 Furthermore, PCGS-Currency has graded 22 of those 33 known mule examples. 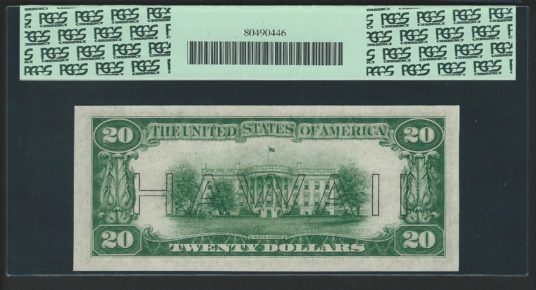 Of the 22, only 3 are graded UNCIRCULATED. And of those three, the two finest are graded GEM 65PPQ, one of which is this note.